Published on 9 December 2012. This newspaper which dropped through our letterbox today really helps to spread the a seasonal merriment! 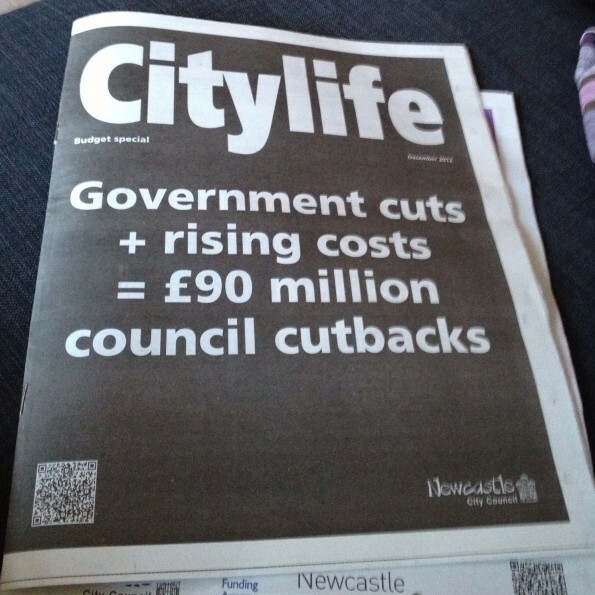 I shouldn’t joke, though… I know the cuts to Local Government are particularly tough for Newcastle, and there are lots of jobs and services at risk. This 1,922nd post was filed under: Photo-a-day 2012, Newcastle-upon-Tyne.